google-site-verification: google8d8438b214143f71.html Beautiful Quotes: Fall in Love…. 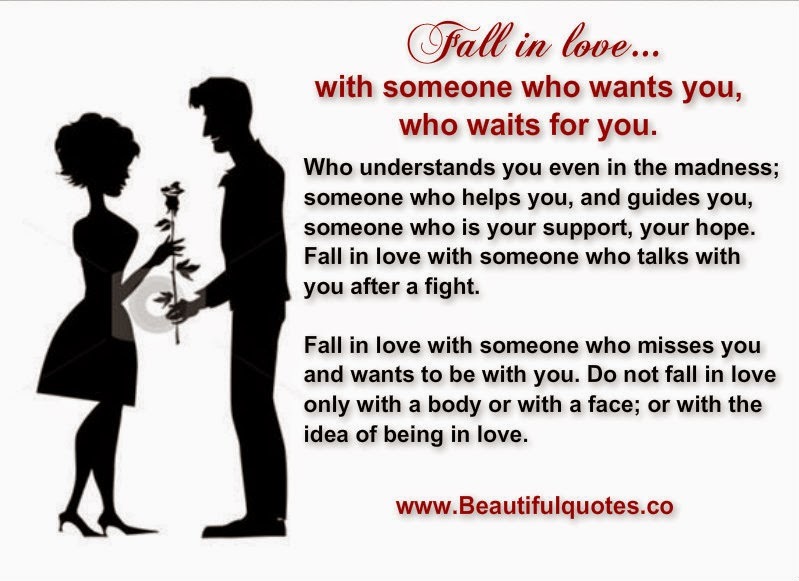 Fall in love… with someone who wants you, who waits for you. Who understands you even in the madness; someone who helps you, and guides you, someone who is your support, your hope. Fall in love with someone who talks with you after a fight. Fall in love with someone who misses you and wants to be with you. Do not fall in love only with a body or with a face; or with the idea of being in love.